Daimler, the manufacturer of Mercedes-Benz, has struck an agreement with Uber Technologies to include the automaker's self-driving vehicles on Uber's ride-hailing network in the "coming years." The two companies offered few specifics about the deal, and while details have been agreed, they could change depending on how the self-driving market evolves. It is not clear when exactly the autonomous cars will be available or the financial terms between them. However, the agreement signals Uber’s willingness to open up its ride-hailing network to other companies' technology. 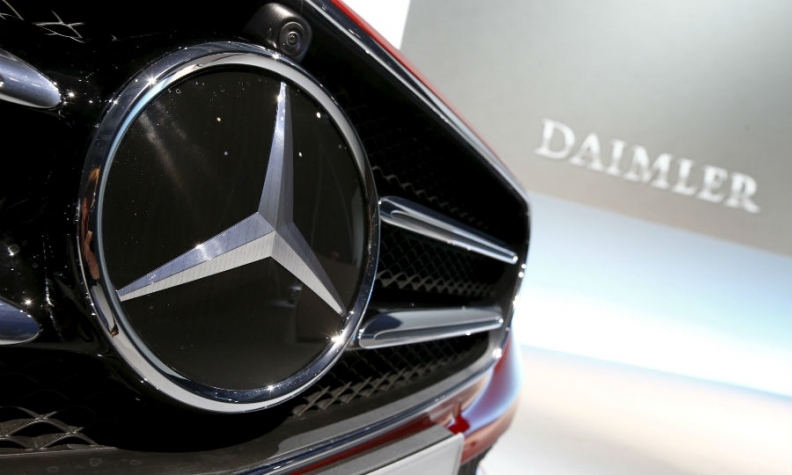 Daimler has been aggressive when it comes to developing self-driving technology of its own. The partnership could put the carmaker in a strong position to monetize self-driving cars when the technology is ready. "Auto manufacturers like Daimler are crucial to our strategy because Uber has no experience making cars, and in fact, making cars is really hard," Uber CEO Travis Kalanick wrote in a blog post. "This became very clear to me after I visited an auto manufacturing plant and saw how much effort goes into designing, testing and building cars." The companies are still negotiating some of the terms of their agreement, but they expect that one-day an autonomous Mercedes could pick up a passenger hailed by Uber's smartphone application. "As the inventor of the automobile, Daimler aims to be a leader in autonomous driving -- one of the most fascinating aspects of reinventing mobility," Daimler and Mercedes CEO Dieter Zetsche said in a statement. San Francisco-based Uber is developing self-driving vehicles of its own. Uber acquired the autonomous trucking company Otto for $680 million in August last year. The company is testing self-driving cars in Pittsburgh and had begun a program in San Francisco, until it was blocked by the California Department of Motor Vehicles. The timeline for the development of self-driving vehicles remains uncertain even to the companies themselves. Uber's autonomous vehicles are supervised by two humans and require regular interventions to prevent collisions. Still, companies are already jockeying to strike partnerships. Volvo Cars has already partnered with Uber to provide cars for the ride-hailing company's autonomous vehicle program. General Motors invested $500 million in Lyft in January 2016 and purchased the autonomous car startup Cruise. Alphabet, which has been working on self-driving cars since at least 2009, named its autonomous vehicle program "Waymo" in December. The company is considering selling hardware to car manufacturers and has struck a deal with Fiat Chrysler Automobiles to provide its vehicles with a full self-driving kit.